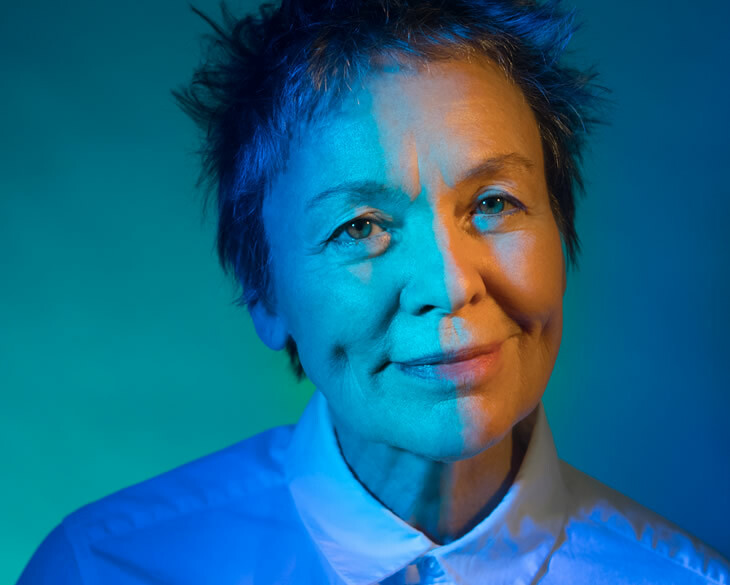 A rare double bill of strings, soundscapes and storytelling in an intimate performance by Laurie Anderson. In 1972 Anderson wrote and recorded a quartet for her teacher, the eminent artist Sol LeWitt, based on his number series drawings. Revisiting the work in 2016, Ms Anderson has since expanded the work into thirty-minute composition arranged for strings by Rubin Kodheli. This will be played with a quartet as an installation evoking the enduring resonance of sound and form. This experience is a complex series of multi channeled soundscapes and stories performed in the dark. It is a collaboration with listeners who use sound to create and destroy their own mental movies- a collection of mystery and adventure stories that play with memory, time and visualization.